In my earlier post, I covered what to do in order to root my Galaxy Nexus. In this post, I want to discuss how you prepare to load and try a Custom ROM. This information was acquired from reading the Android Developments forums for Galaxy Nexus. This is a guide for newbies who are loading their first Custom ROM. This is an indispensable app if you plan to try custom ROMs. 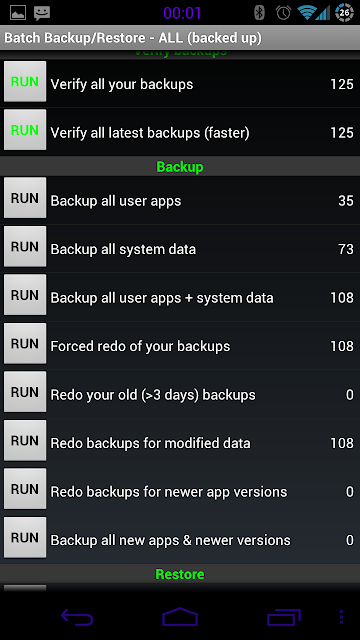 It backs up all your apps and data on the internal SD Card of your Nexus and restores them later. When you load a custom ROM, it's a clean install - none of your apps, call logs or SMS get loaded. You can download your apps from the Android Marketplace again, but Titanium Backup restores them at a click and saves you a lot of trouble and time. I recommend the Pro version because it restores everything in just one click (as a batch operation) whereas with the free version, you have to approve each app re-install manually. To buy the PRO version (which is a licence key and costs Rs. 280), you need to first download the free app, and then buy the license as an in-app purchase. Do it right away, it's worth it! This involves several steps when you first set up backups. Fire up the app and go to the backup/restore screen. You should select 'backup all user apps + system data" and then run the command. Now, your apps and data are all backed up and you are ready for the next step. For this you need to have ROM Manager from the Android Market. Fire up the program and select reboot into recovery. Your phone will enter recovery mode and you can use the volume buttons to navigate and power button to select. You need to navigate to 'backup and restore' and create a backup. 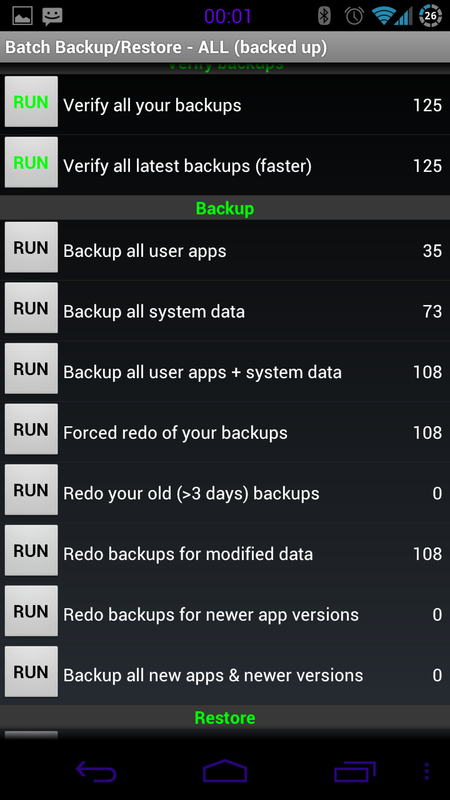 Now, restart your phone and go to ROM Manager and select the option "Manage and restore Backups". Find your latest backup and rename it so that you remember which one it is. I use a combo of date, ICS version and ROM to name each one and I also add a tag like 'latest' to help me remember which was my last backup. 4. Downloading a custom ROM. A dev will provide an MD5 Checksum for any downloads. This is used to verify the integrity of the download. You can use any free program to do this - I downloaded the MD5 checker 2.31 from Softpedia. Simply paste the MD5 code into the checkbox and then attach the file. If it flashes green, you're good to go! Now you can transfer the ROM files to your mobile phone. 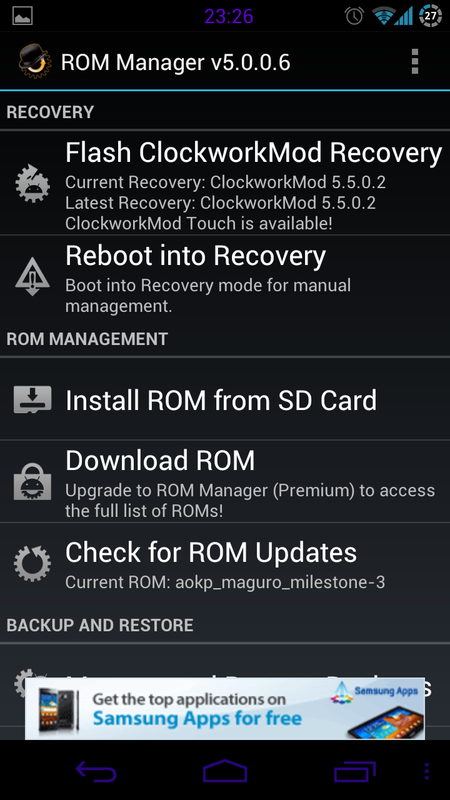 The next post will be about how to flash a ROM .